"Barnstorming Days" Brandford Exchange limited edition collector plate. Plate is in original package, new. Plate will be shipped insured with postage determined by your zip. A $7 packing/handling fee will be charged. Any questions please email. An 8 ounce Hazel Atlas baby bottle with elephant design. Bottle is used/as/is. Postage/insurance determined by your zip and a $7 packing/handling fee will be charged to your charges. Please email me for any questions regarding this terific baby bottle to add to your collection. 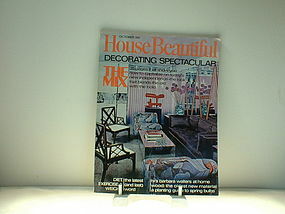 House Beautiful magazine October 1970 is in great condition for its age. any questions please email. will accept money orders, cashier checks, personal checks with UP to 10 days to clear. will mail media rate to your zip postage determined by zip. 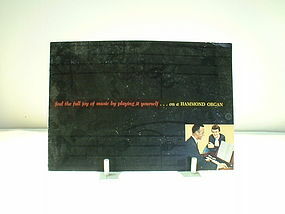 pamphlet "find the full joy of music by playing ... on a Hammond Organ. The pamphlet is in good condition, undated but the photos appear to be 1950-1960 hair styles and dress. Booklet is in good condition. Will mail media rate to your zip. will accept money orders, cashier checks and or personal checks with UP to 10 days to clear. 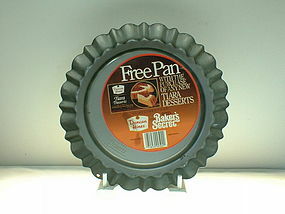 The premium Free Pan with the purchase of any Tiara desserts from Duncan Hines featuring a Ekco Baker's Secret is available. It has NOT been used. Postage/insurance/handling will be paid by purchaser. Any questions please email. Will accept money orders, cashier checks and personal checks with UP to 10 days to clear. 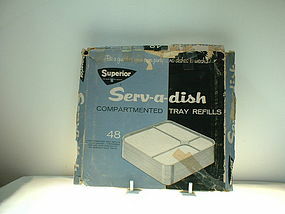 Superior Serv-a-dish (16) compartmented tray refills in original box which is rather tattered and shows lots of wear. The trays are to be used for refills for use with English ivy or Regency gold trays. There are 16 trays in the box which have NOT be taken out of box. Any questions please email. Will accept money orders, cashier checks or personal checks with UP to 10 days to clear. 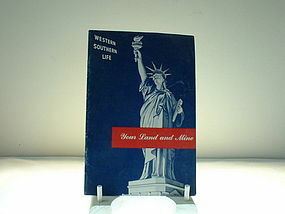 Westrn Southern Life Your Life and Mine pamphlet distributed by the Western and Southern Life Insurance Company cannot find date in it but the last President listed is Lyndon B. Johnson, 1963. Booklet lists history of the flag, background of independence and Declaration of Independence,and list of presidents of US. Will accept money orders, cashier check, personal check with UP to 10 days to clear. Will mail media rate to your zip. 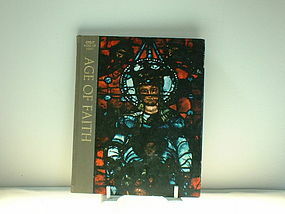 Great ages of man Age of Faith 1965 is in good condition, Book shows some normal wear/tear. Will mail media rate determined by your zip. Will accept cashier check, money orders, and personal check with UP to 10 days to clear. 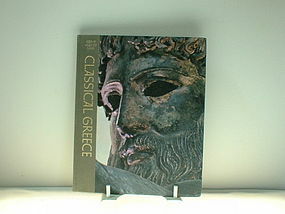 Classical Greece Great Ages of Man Time Life Books 1965 copy. Book in good condition shows normal wear/tear. Will accept money orders, cashier check or personal check with UP to 10 days to clear. Will ship media rate postage determined by your zip. 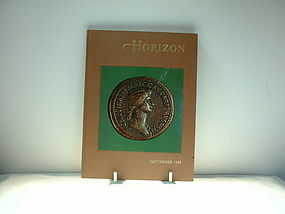 Horizon September 1968 Vol V No. 7 is available for purchase. Book is in good condition. Normal wear/tear for age. Will accept money order, cashier check, personal check with UP to 10 days to clear. Will ship media rate to your zip and postage determined by zip. 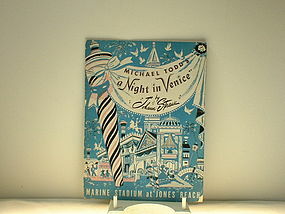 Michael Todd's A Night in Venice by Johann Strauss Marine Stadium at Jones Beach. The program is in good condition. Will mail media rate to your zip. will accept money orders, cashie checks or personal checks with UP to 10 days to clear. 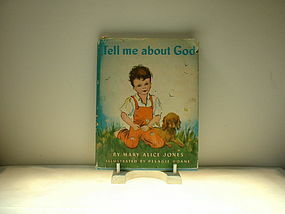 Tell me about God by Mary Alice Jones and illustrated by Pelagie Doane is available for purchase. The book is copyright 1943 and is in good condition. the illustrations are beautiful. The dust jacket shows wear/tear. Book is SOLD AS IS/USED. Will ship media rate to your zip and postage determined by zip code. Will accept money orders, cashier checks, or personal checks with UP to 10 days to clear. 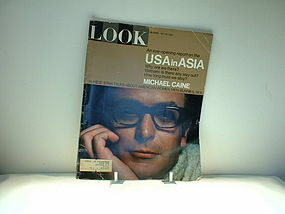 Look magazine dated June 11, 1968 is available for purchase The magazine has normal wear/tear for its age. Will ship to your zip and postage determined by your zip from 37865. will accept money orders, cashier checks, personal checks with UP to 10 days to clear. 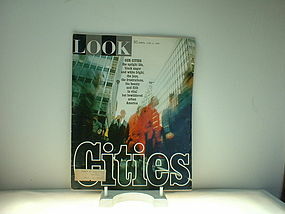 Look magazine dated May 30, 1967 is available in good condition does have shelf wear/tear. Any questions please ask. Will mail media rate to your zip and postage determined by zip. will accept money orders, cashier checks or personal checks with UP to 10 days to clear.